Southeast Mechanical Service installs, repairs, maintains and sells Chillers in Hollywood, FL. 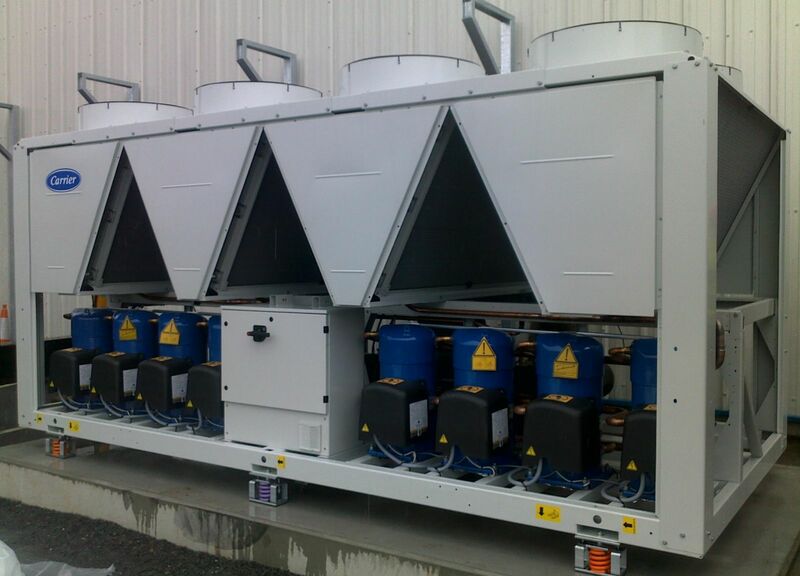 A chiller is a machine that removes heat from a liquid via a vapor-compression or absorption refrigeration cycle. This liquid can then be circulated through a heat exchanger to cool air or equipment as required. As a necessary byproduct, refrigeration creates waste heat that must be exhausted to ambient or, for greater efficiency, recovered for heating purposes. Concerns in design and selection of chillers include performance, efficiency, maintenance and product life cycle environmental impact. In air conditioning systems, chilled water is typically distributed to heat exchangers, or coils, in air handling units or other types of terminal devices that cool the air in their respective space(s), and then the water is recirculated back to the chiller to be cooled again. These cooling coils transfer sensible heat and latent heat from the air to the chilled water, thus cooling and usually dehumidifying the air stream. 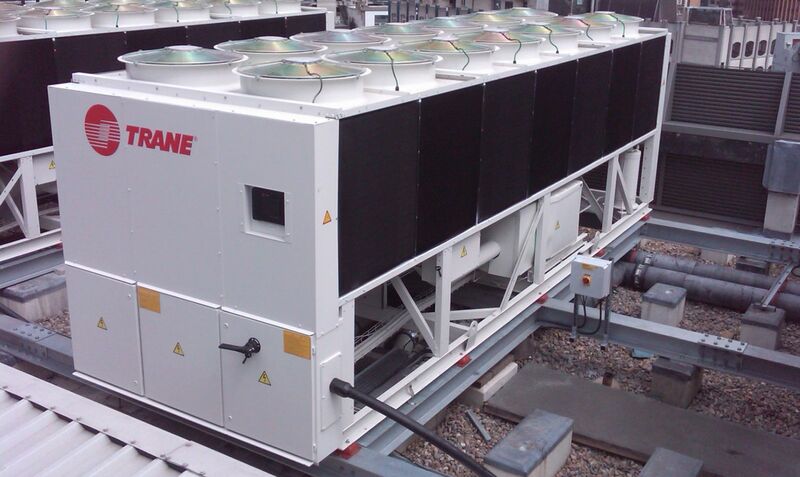 A typical chiller for air conditioning applications is rated between 15 and 1500 tons (180,000 to 18,000,000 BTU/h or 53 to 5,300 kW) in cooling capacity, and at least one manufacturer can produce chillers capable of up to 6,000 tons of cooling. Chilled water temperatures can range from 35 to 45 °F (2 to 7 °C), depending upon application requirements. At Southeast Mechanical Service our experienced, trained and certified chiller technicians are knowledgeable in all the different facets of commercial cooling in Hollywood, FL. To have one of our trained chiller technicians in Hollywood, FL come out and visit you today, please do not hesitate to contact us to schedule a consultation. We look forward to hearing from you.